DUBAI (Reuters) - Saudi Arabia aims to create the world's biggest sovereign wealth fund, a $2 trillion behemoth that can throw its weight around global markets, but the fund's growth abroad is likely to be slowed by its responsibility for aiding the economy at home. Building the Public Investment Fund (PIF) into "the largest fund in the world by far" is a cornerstone of radical economic reforms announced by Deputy Crown Prince Mohammed bin Salman last month to cut the kingdom's reliance on oil. The PIF, founded in 1971 to finance development projects in Saudi Arabia and until now little known abroad, is to grow from 600 billion riyals ($160 billion) to over 7 trillion riyals, helping make Riyadh a global "investment power", he said. The biggest sovereign fund so far is Norway's, worth $852 billion. 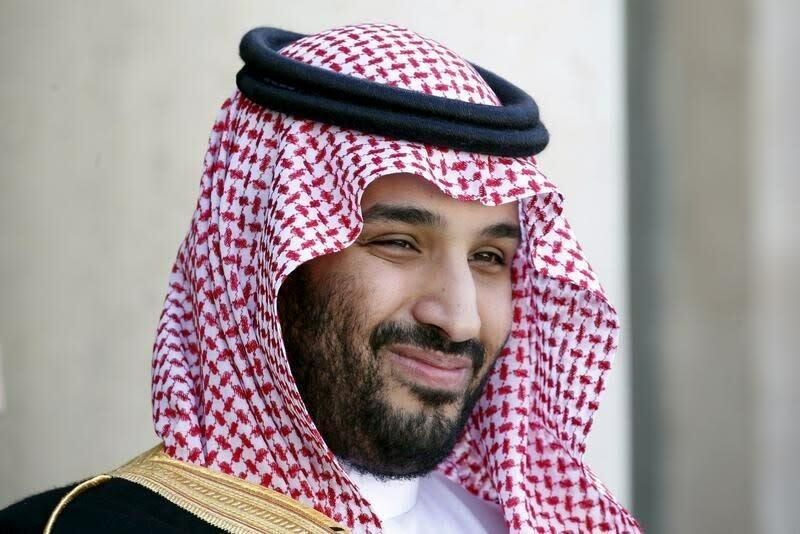 "There will be no investment, movement or development in any region of the world without the vote of the Saudi sovereign fund," Prince Mohammed told Al Arabiya television. Under the plan, Saudi Arabia would partly live off returns earned on the PIF's foreign investments, which would help offset Riyadh's loss of oil revenues due to low crude prices. But the PIF is also being pressed into service for a second purpose: it is to use its money to revitalize the Saudi economy and create jobs by developing new industries and pushing through stalled multi-billion dollar development projects. The PIF will "help unlock strategic sectors requiring intensive capital inputs. This will contribute toward developing entirely new economic sectors and establishing durable national corporations," the reform plan reads. For example, the government will transfer ownership of Riyadh’s floundering King Abdullah Financial District to the PIF, sources told Reuters. The PIF may also get involved in areas such as mining, shipbuilding and developing six industrial cities. The government says it is examining ways to salvage the industrial city scheme, plagued for a decade by delays and a lack of enthusiasm among potential tenants. The result, say bankers and consultants familiar with Saudi official thinking, is that in the initial years at least, the PIF's resources and management attention are likely to focus more on domestic projects than foreign markets. The PIF did not respond to requests for comment. Sven Behrendt, head of German consultancy GeoEconomica, said the PIF's foreign role, where it would face pressure to maximize returns by taking risks, would contrast with its domestic role as a strategic investor, where returns would be secondary as projects could not be allowed to fail for political reasons. “If you look around the world, you will see there are only a few funds that have this double mandate. Usually it’s one or the other. "The two approaches require different investment philosophies – different capabilities, different management skills and different evaluation criteria...It’s difficult to square." Bankers and consultants in touch with the PIF say the fund, under new secretary-general Yasir al-Rumayyan, a former chief executive of Saudi Fransi Capital, is still designing its new operations and structure, while looking to hire managers within the kingdom and abroad. To build up the fund, the government has been transferring corporate assets and land to it, including ownership of state oil giant Saudi Aramco. But that simply makes the PIF a large holding company rather than a fund that can funnel large sums into new investments. A total of $579 billion in net foreign assets held by Saudi Arabia's central bank (SAMA), which has traditionally served as Riyadh's sovereign fund, will not be transferred to the PIF, the sources said. So to raise money that the PIF can reinvest, Riyadh plans to sell shares in PIF companies over coming years - a complex process that will depend on the appetite of foreign investors for Saudi assets in an era of cheap oil. The sales will include up to 5 percent of Aramco; Prince Mohammed estimated the company was worth over $2 trillion, implying the offer could raise $100 billion. A number of bankers and consultants are skeptical of that figure, however, saying it will depend on factors such as Aramco's dividend policy, political risk and willingness to disclose sensitive information to investors. Some analysis suggests all of Aramco might have a market value of $250-460 billion, excluding the value of refining assets and guaranteed access to oil, said Washington-based consultancy Foreign Reports. In any case, the PIF looks set to have much less than $2 trillion to play with in global markets for the foreseeable future, limiting its contribution to Saudi state finances. Norway's sovereign fund returned an average 5.6 percent in 1998-2015, before costs and inflation. Earning that on $100 billion raised from selling Aramco shares would deliver about $5 billion annually - not much against a state budget deficit near $100 billion. Shanker Singham, head of British-based consultancy Competere, said the PIF might successfully imitate Singapore’s Temasek, which in addition to investing abroad has played a strategic role in the economy by managing major state assets. The PIF might also try to make foreign investments that secured expertise or market access for projects in Saudi Arabia. For example, it might buy a stake in a foreign mining firm to support the reform plan's emphasis on growing the mining sector. But if the PIF is deployed for Saudi geopolitical ends – for example, to try to win commercial or political influence abroad, it could hurt its ability to make money, Singham added. Saudi officials say investment decisions are made on exclusively commercial grounds.